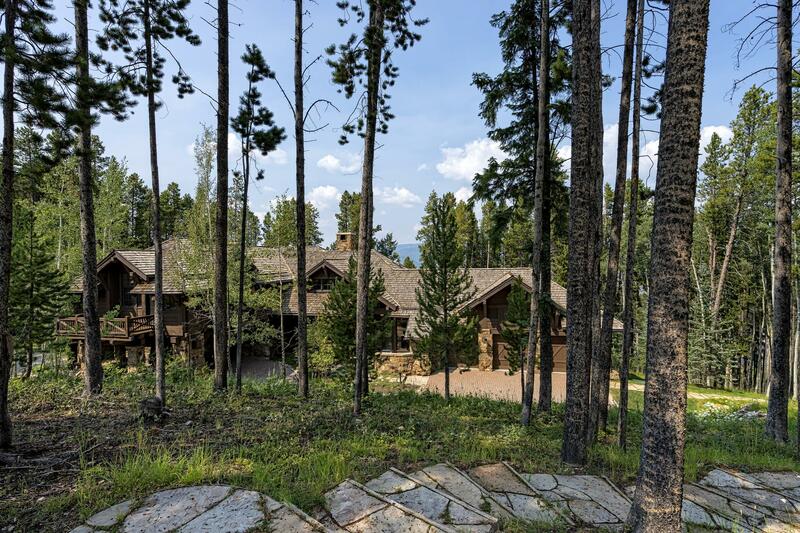 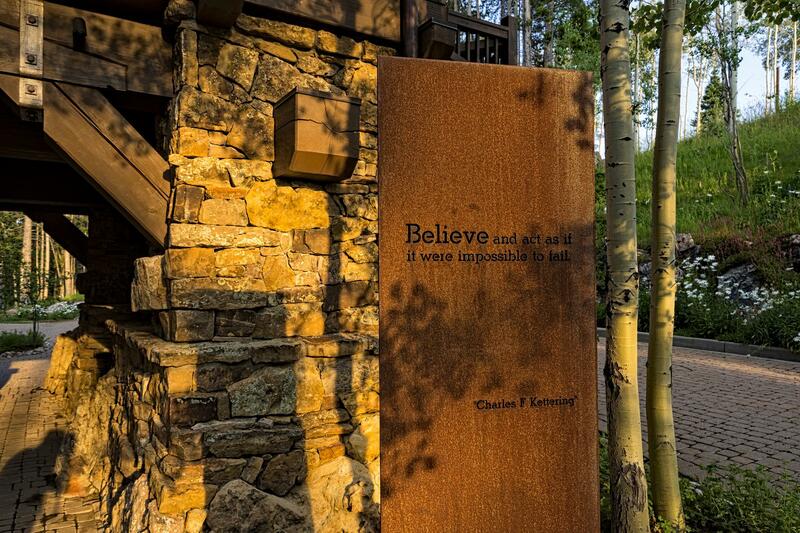 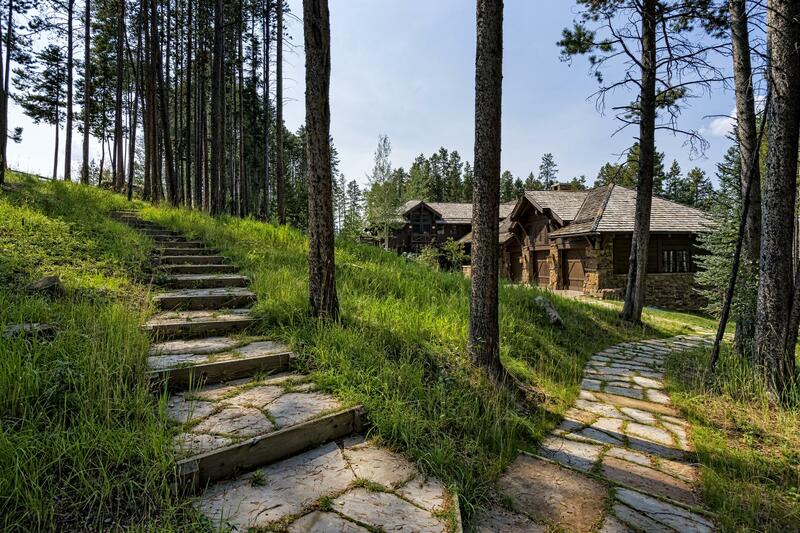 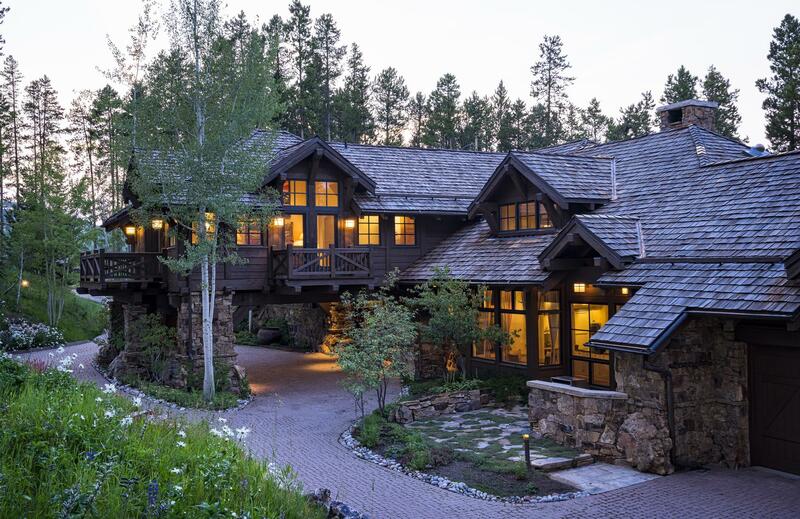 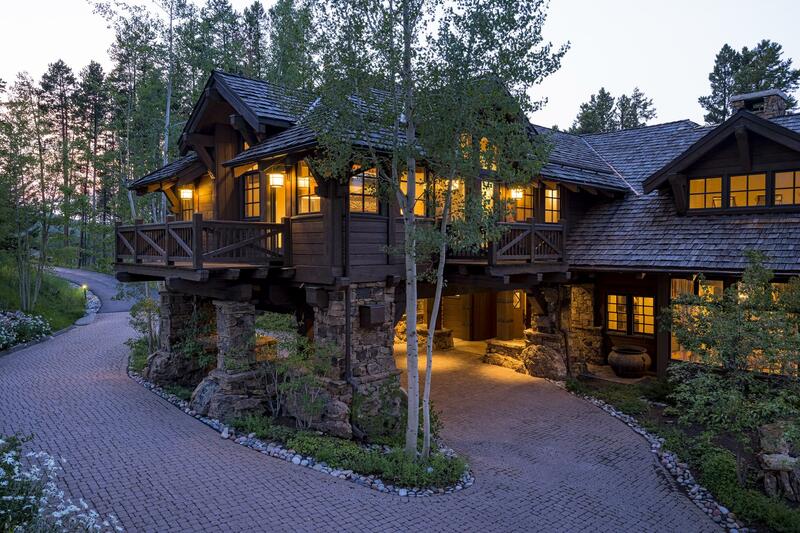 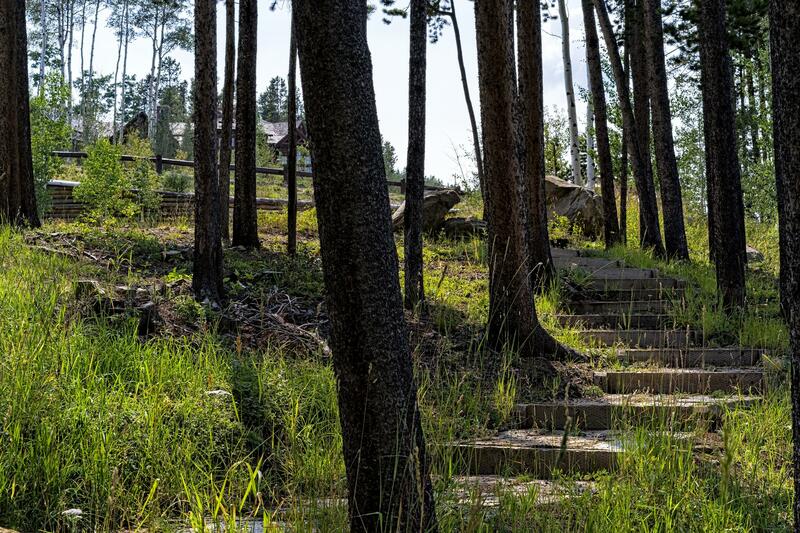 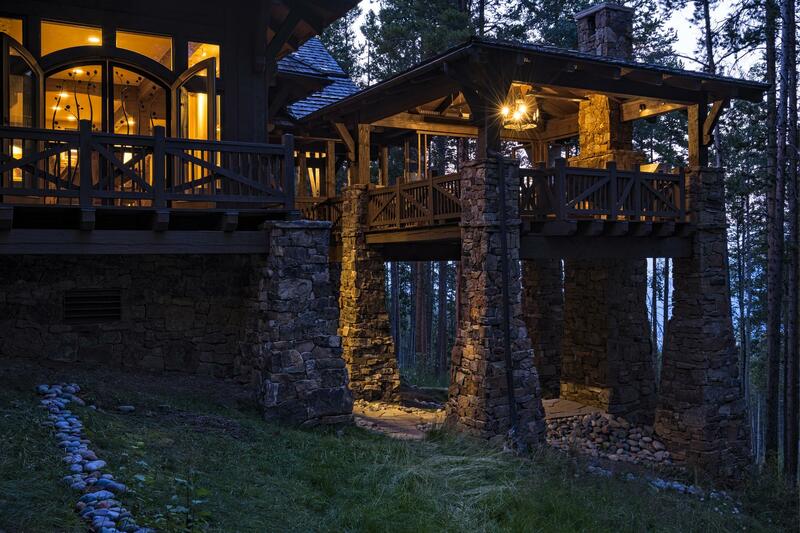 Nestled among towering lodgepole pine and inviting aspen, this exquisite mountain escape achieves both privacy and convenience on one of the valley’s most desirable mountain roads. 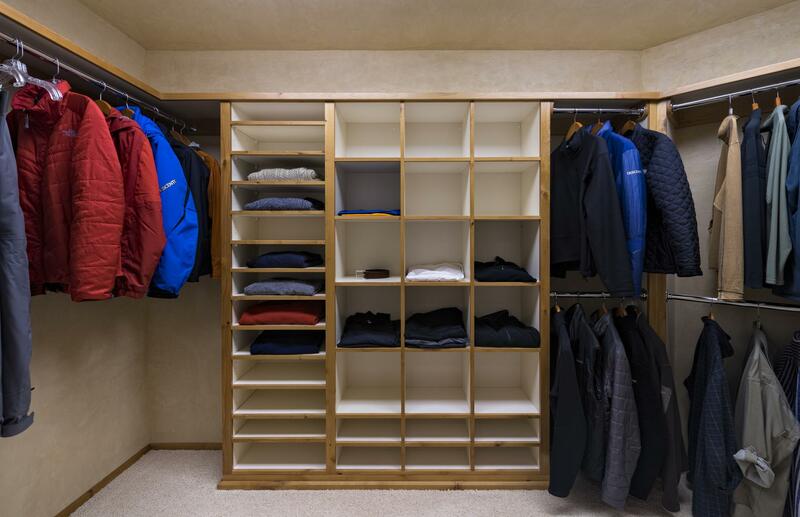 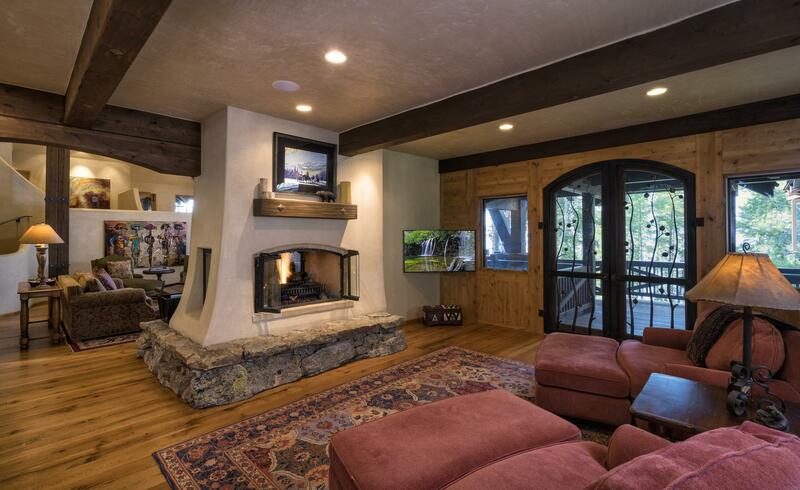 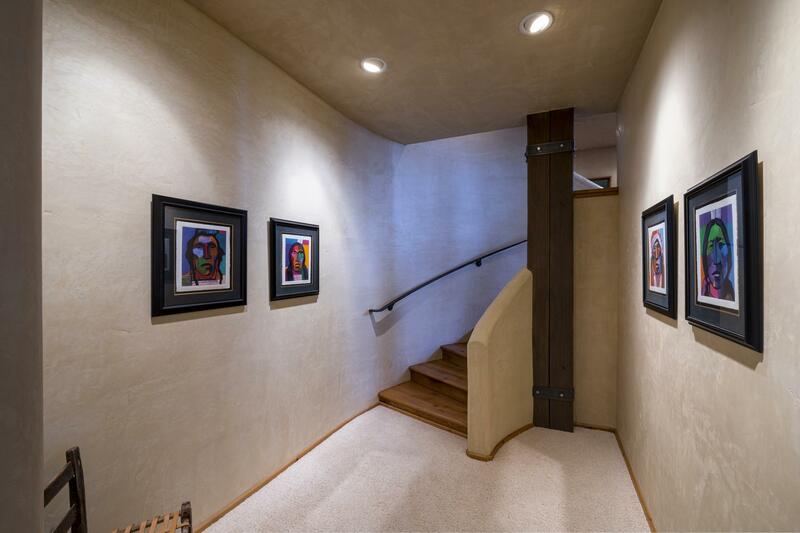 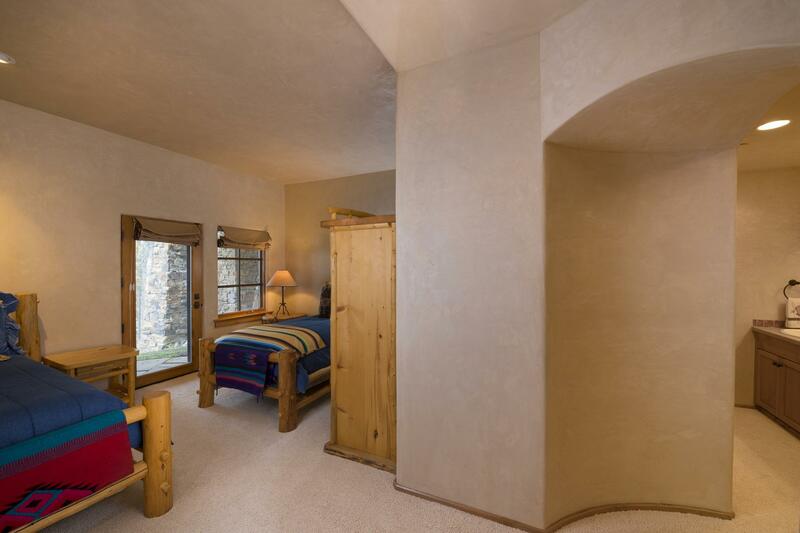 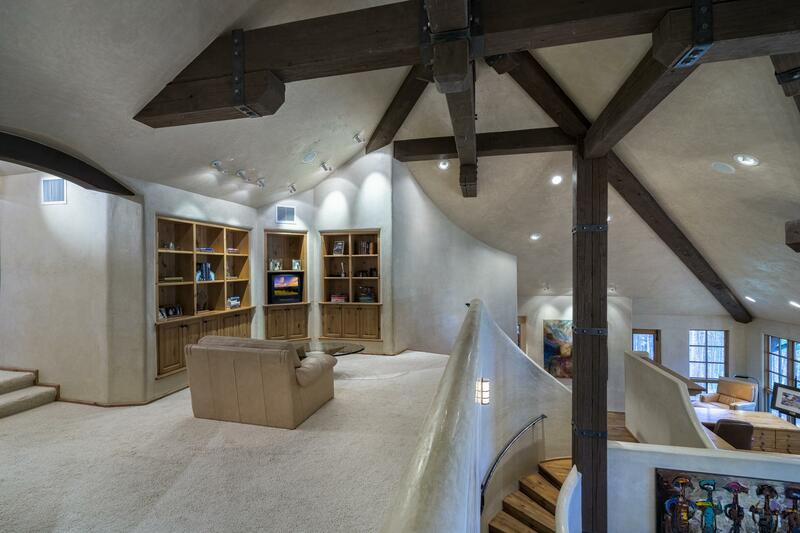 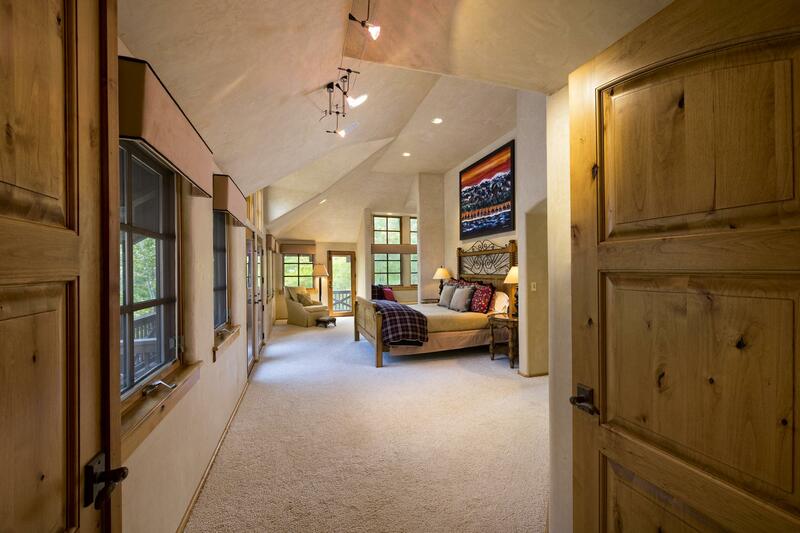 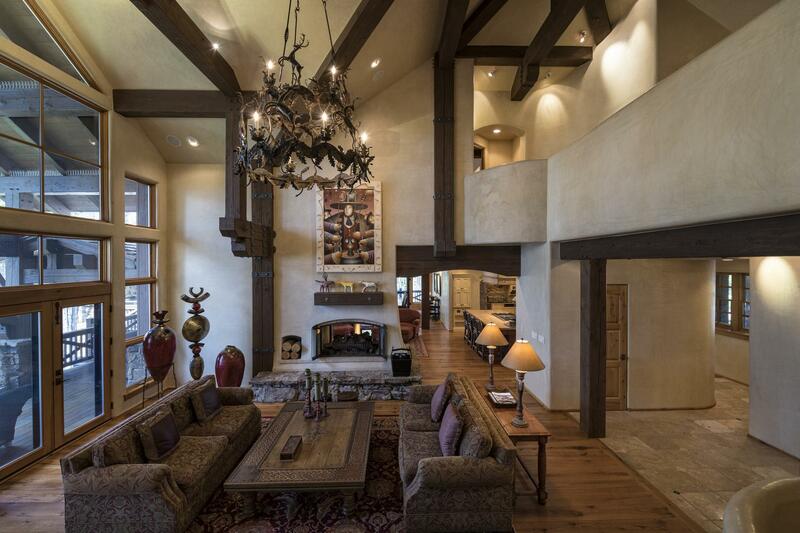 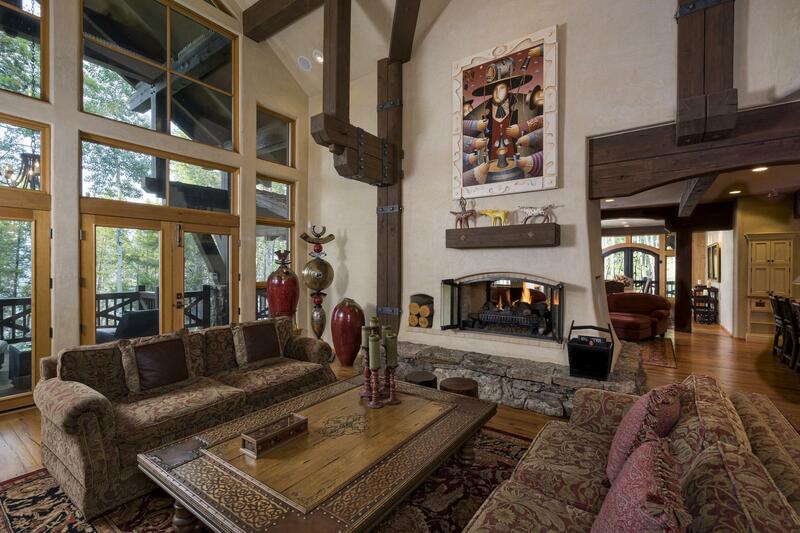 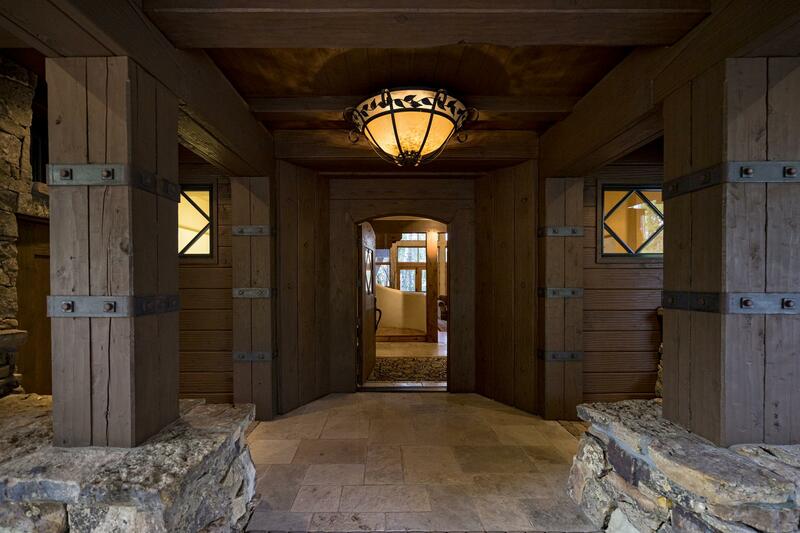 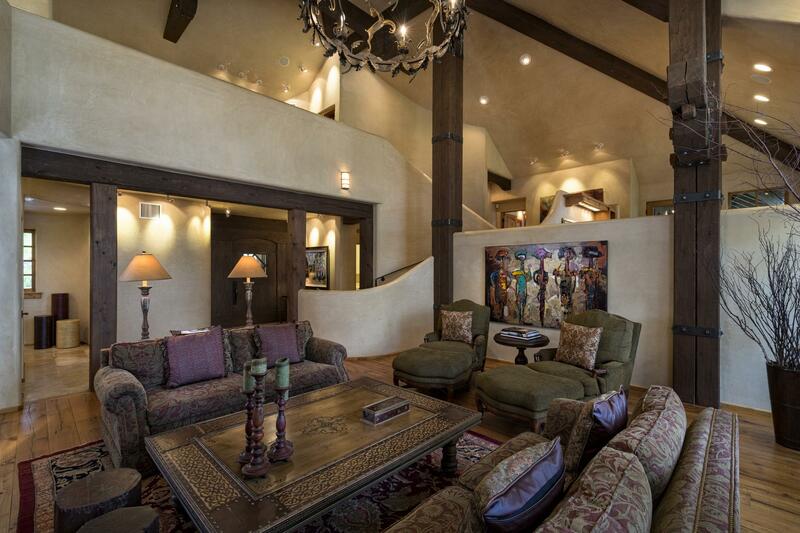 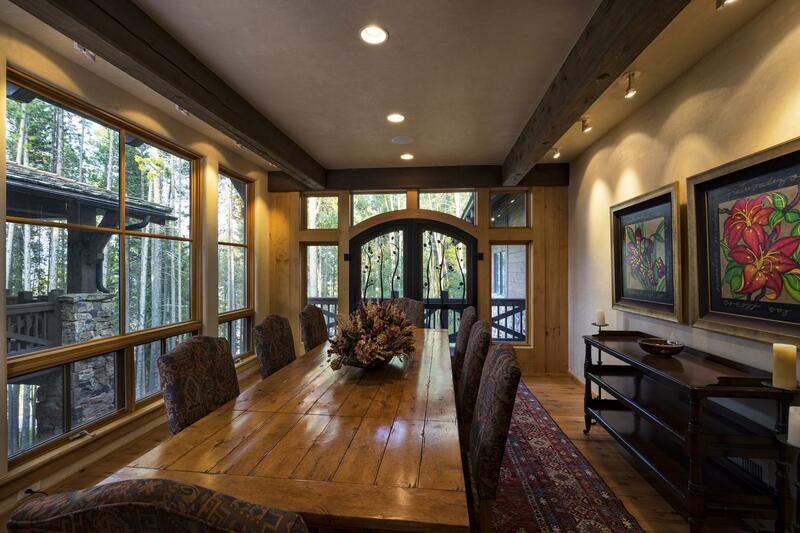 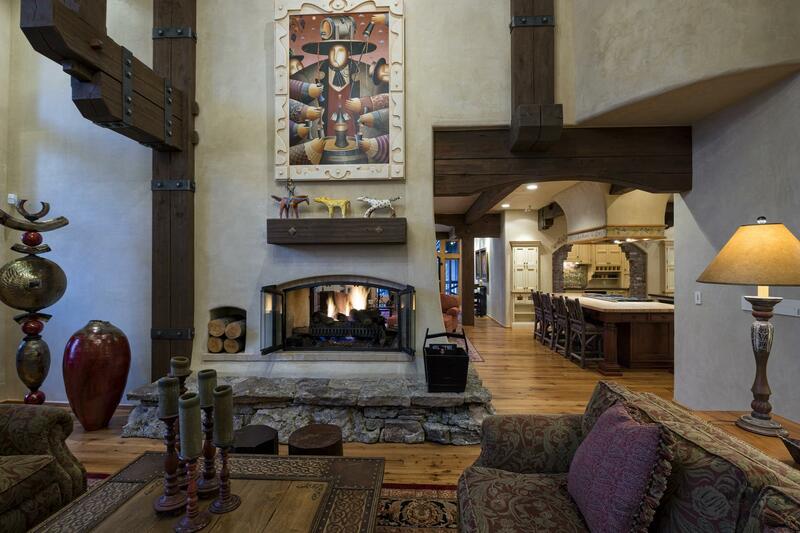 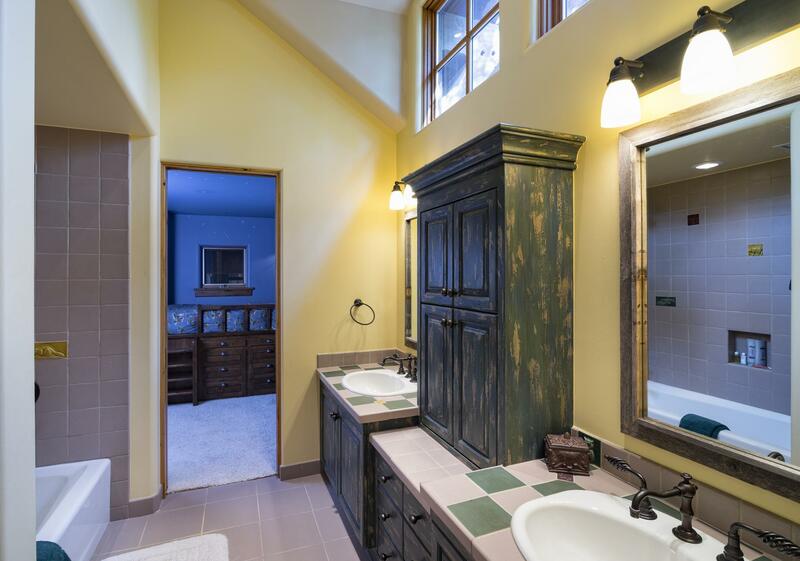 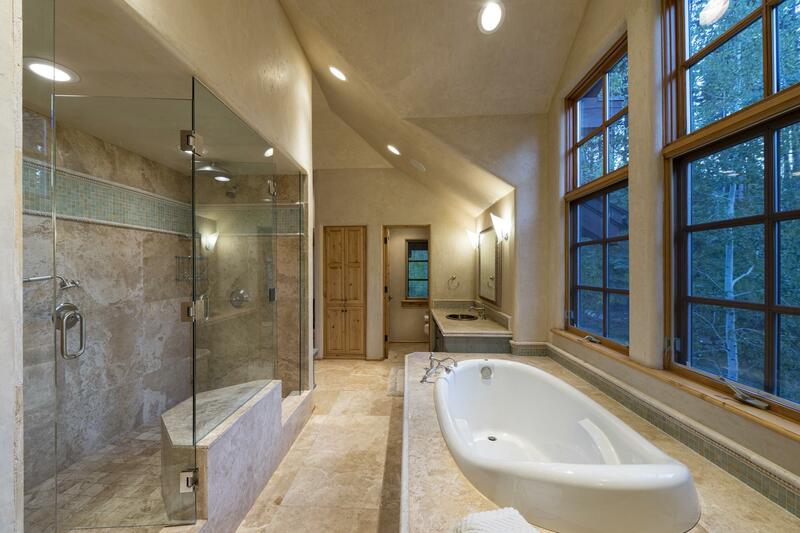 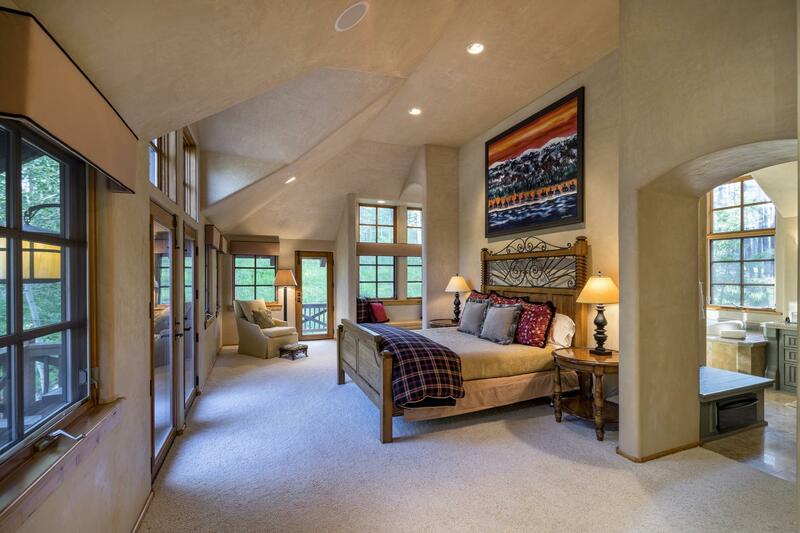 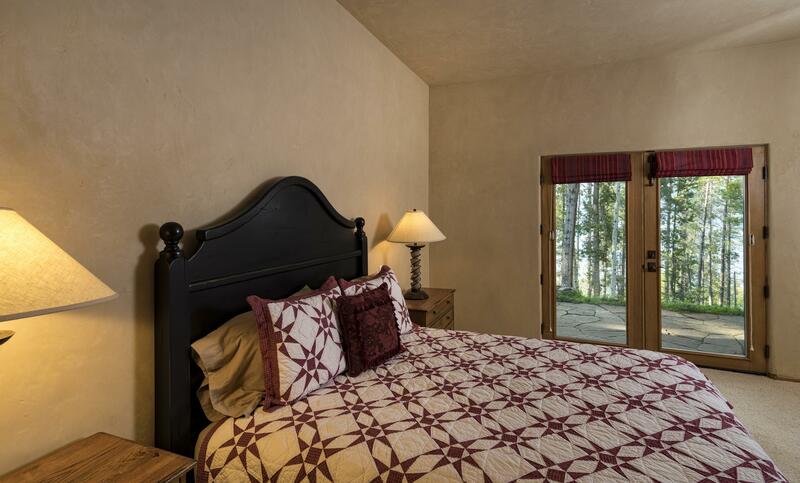 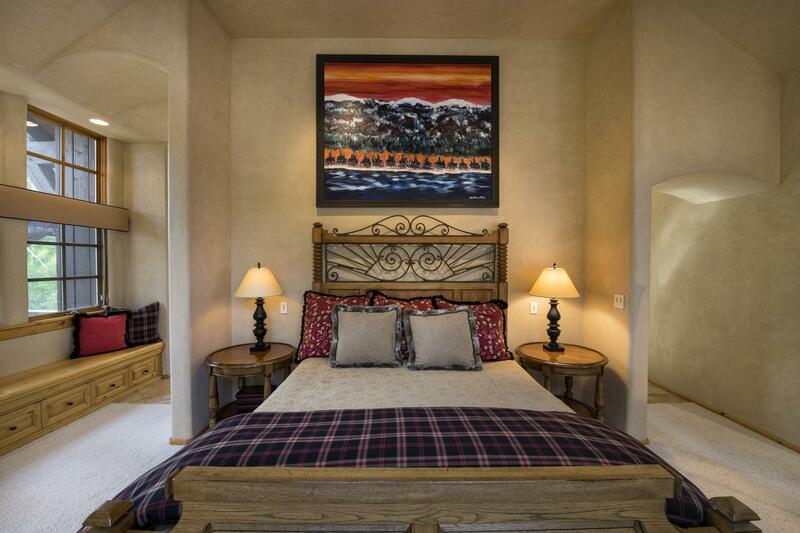 Daybreak Ridge, cresting well above 9,000 vertical feet, is the quintessence of high-elevation, alpine living, complete with ski-in/ski-out access to Beaver Creek Resort and all the amenities of a Bachelor’s Gulch property. 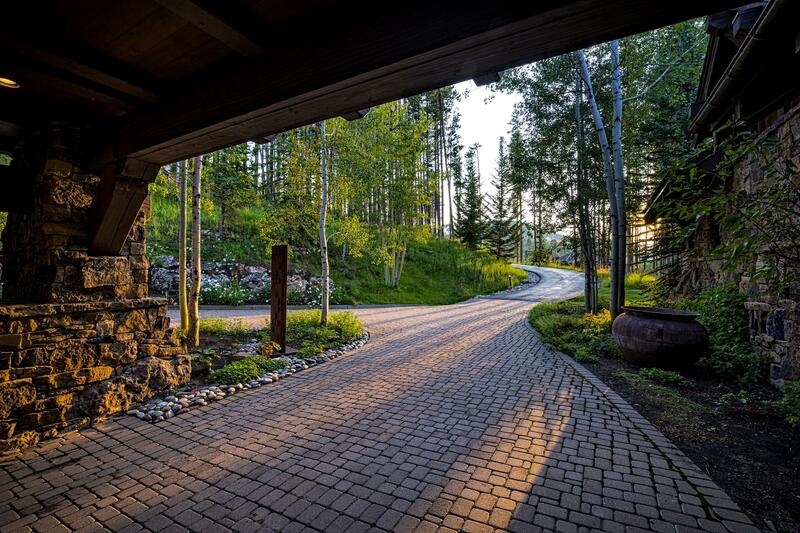 Drive along the ski trails overlooking a western vista on approach to the heated driveway and welcoming porte cochere. 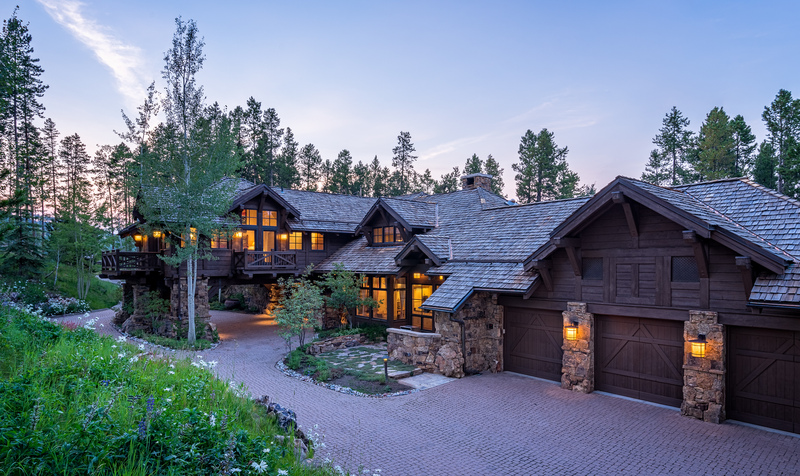 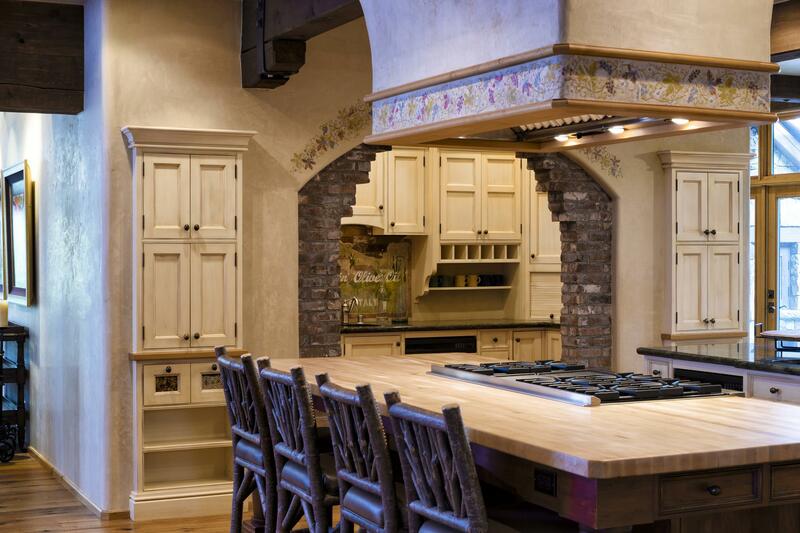 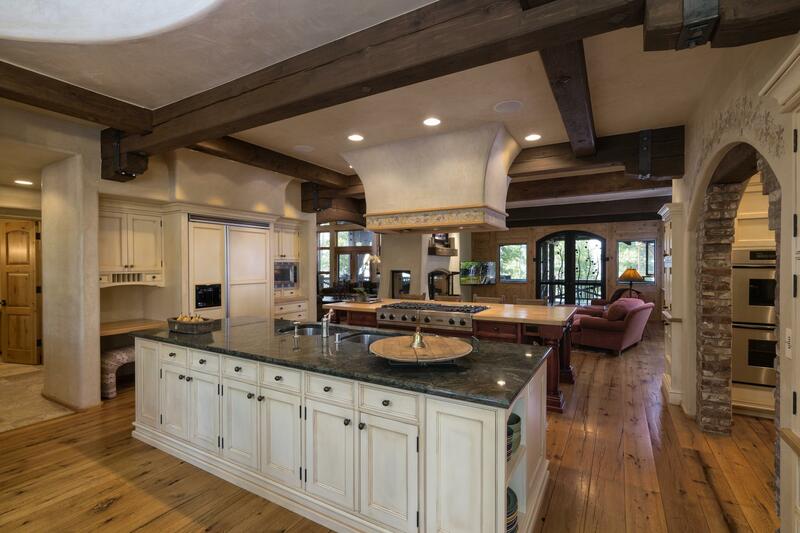 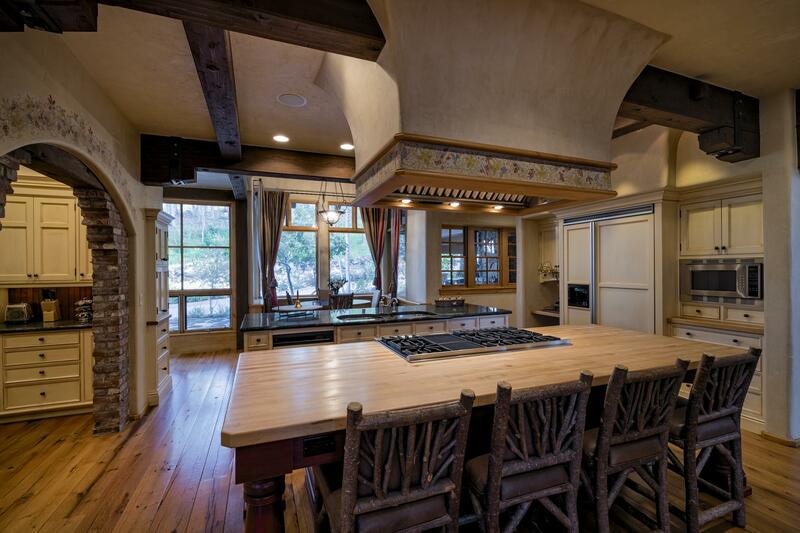 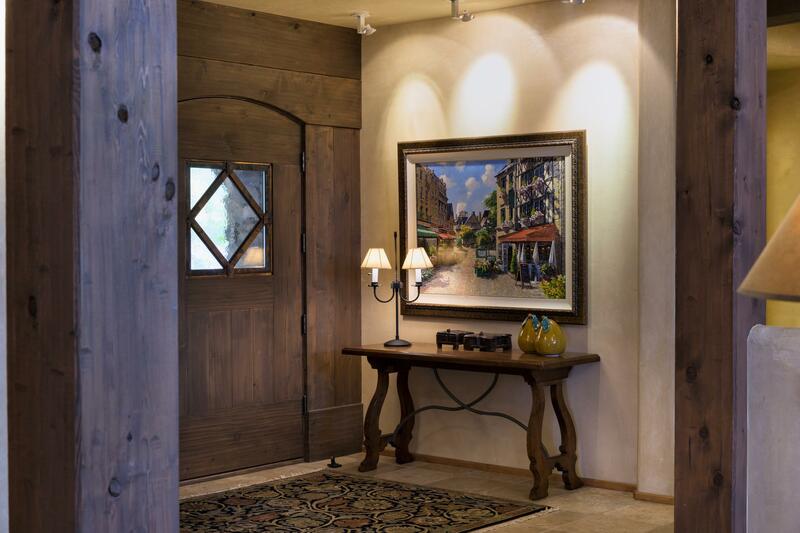 The home’s rugged mountain exterior and elaborate stonework are complemented by a warm, European country interior, boasting post-and-beam construction and an inviting floor plan. 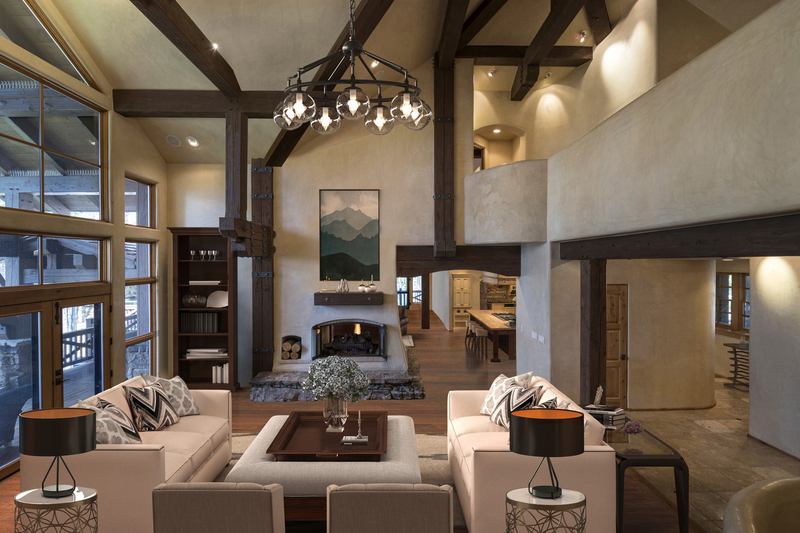 Perfect for family vacations, the open layout promotes closeness and interaction without sacrificing space. 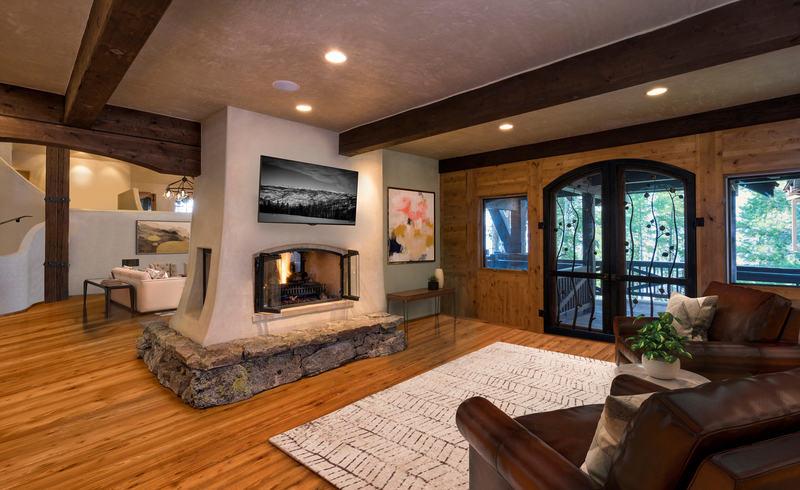 A charming, professional kitchen serves as its centerpiece immediately adjacent to a cozy family den and grand living room, all sharing a beautifully crafted three-sided fireplace to warm the home’s primary living spaces. 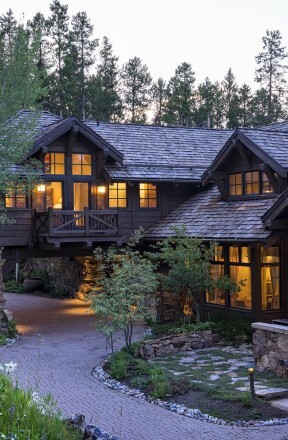 The 8,664-square-foot, five-bedroom mountain retreat is distinguished by a grand master suite — one of the property’s most unique characteristics — situated in a private wing of the home, elevated above the outside porte cochere. 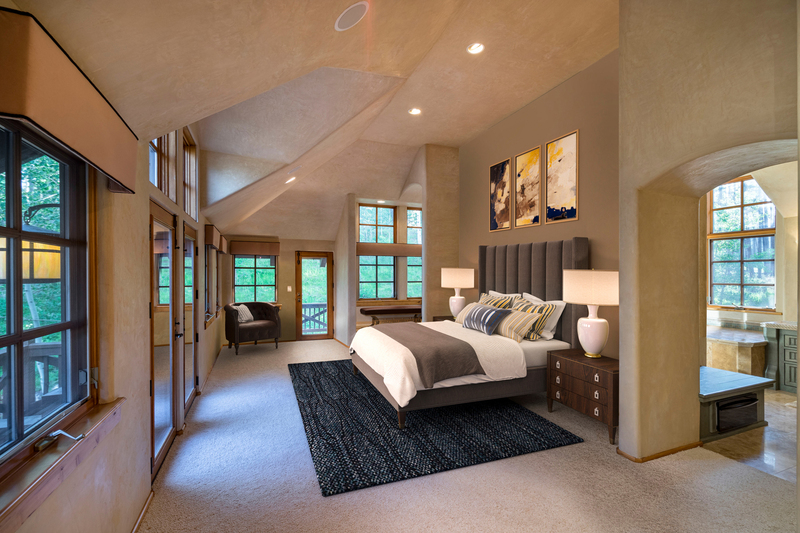 With expansive windows on three sides, an abundance of natural light illuminates this south-facing master bedroom with dual balconies, lofted ceilings, an elaborate walk-in closet and luxurious bathroom. 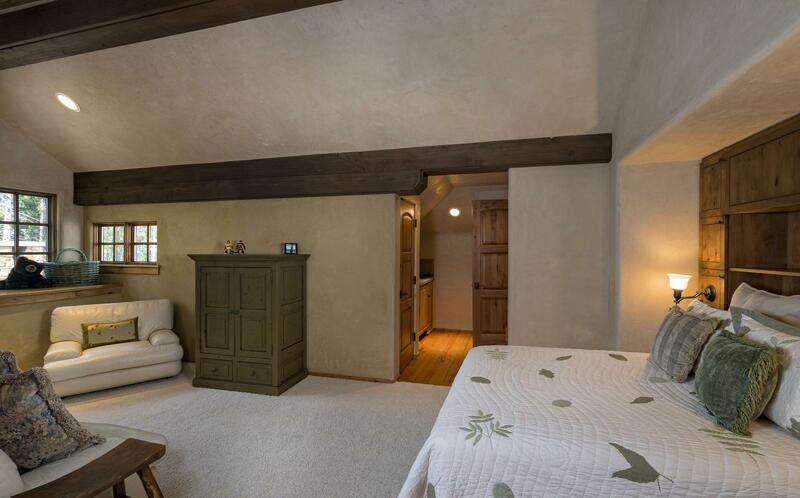 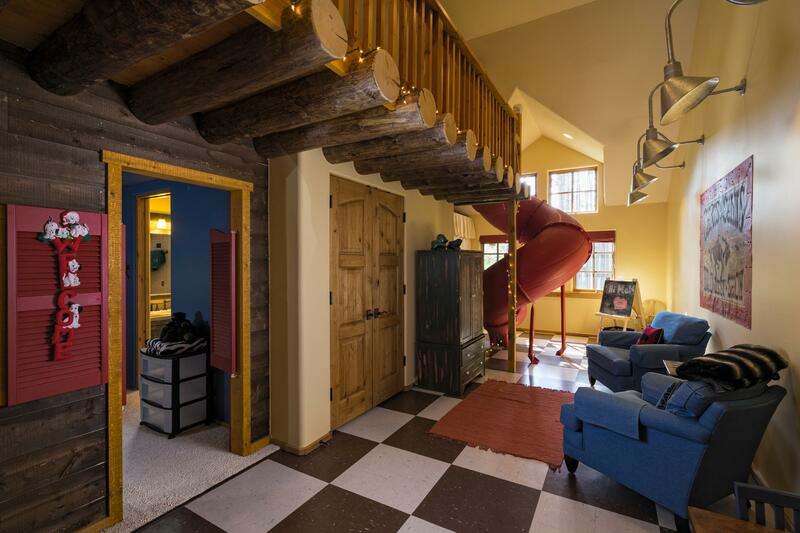 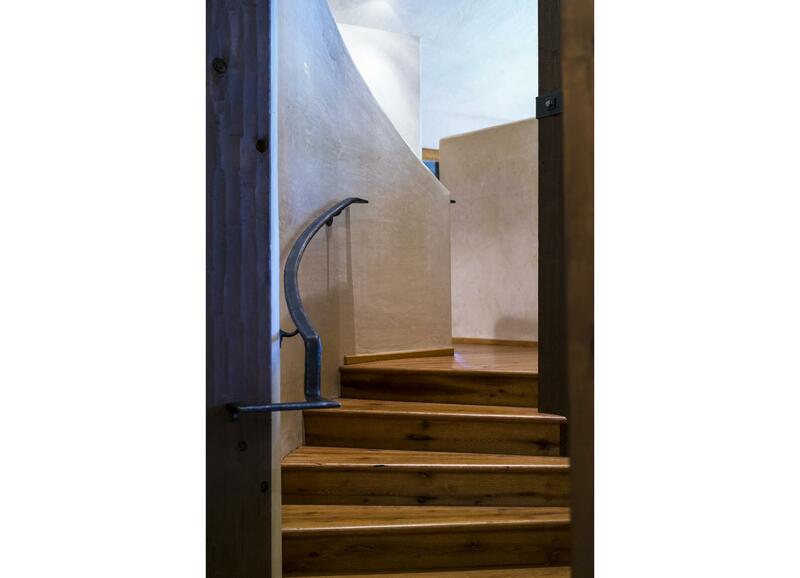 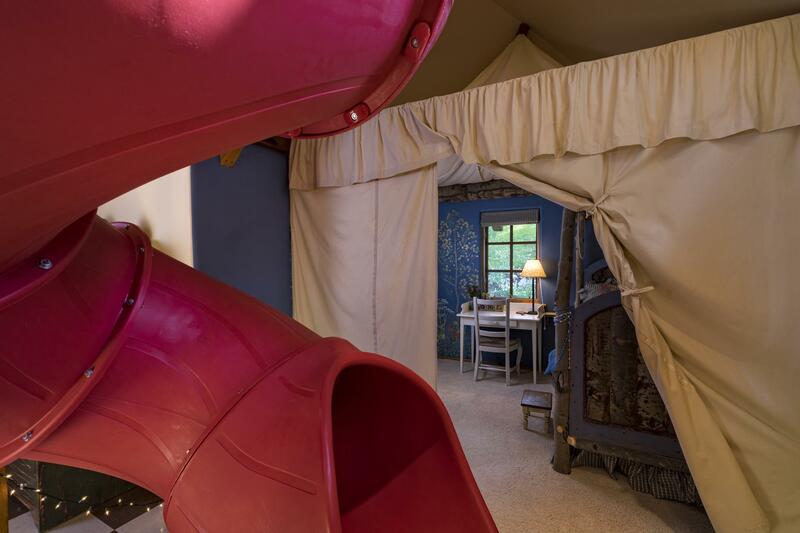 Completing the home are four additional well-proportioned bedrooms, including a nanny’s quarters and children’s suite, delightfully outfitted with a multilevel playroom from which an enclosed, spiral slide is the preferred method of descent. 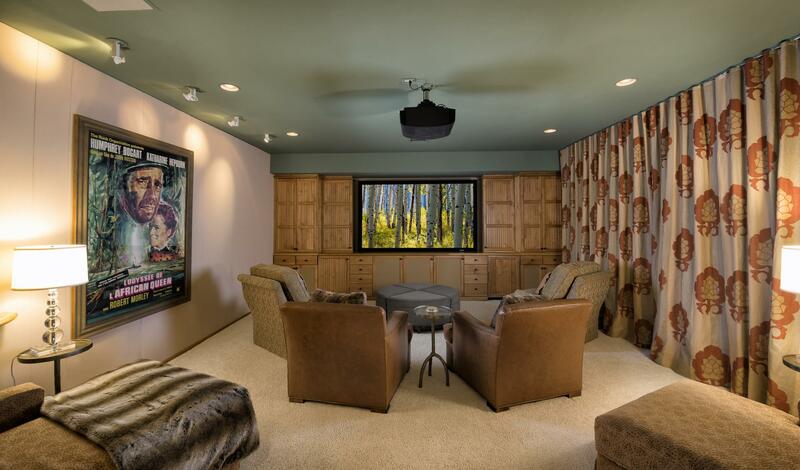 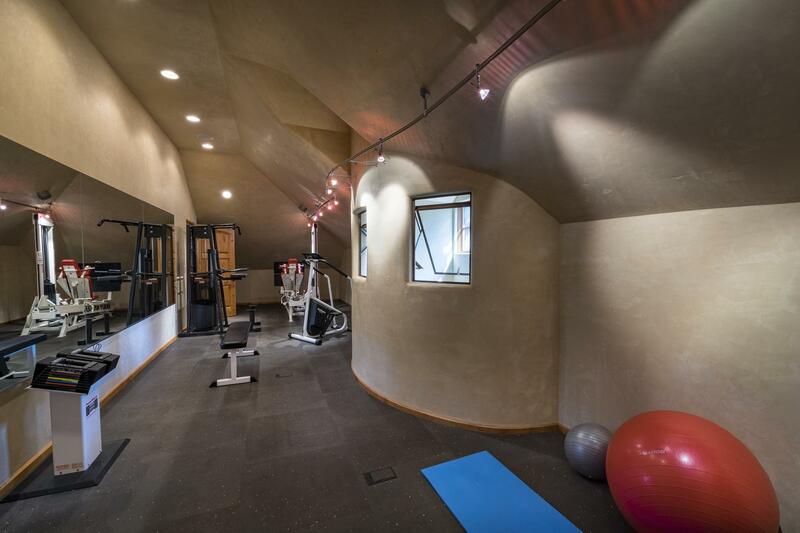 Of course, grownup amenities are also included within the home, such as a large exercise facility and theater-like media room. 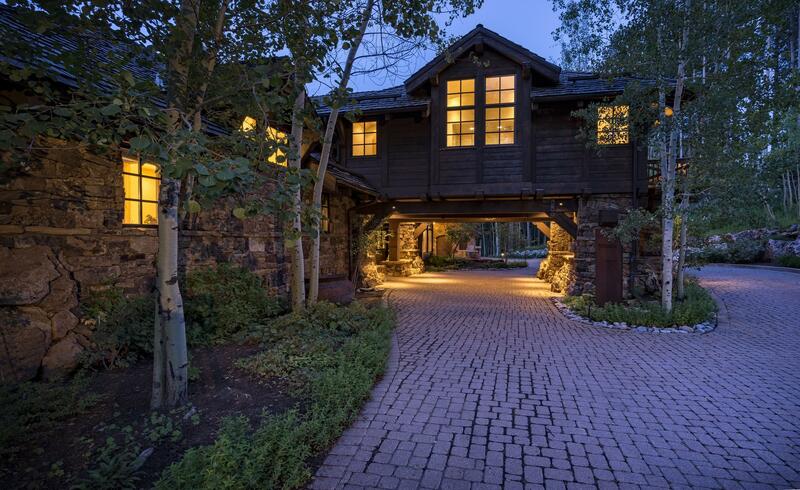 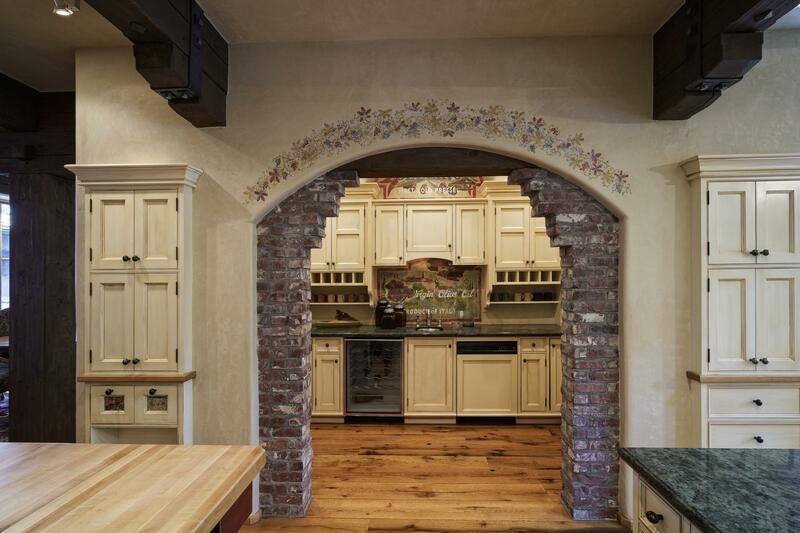 But perhaps the home’s most impressive and unique characteristic is found outside of its walls. 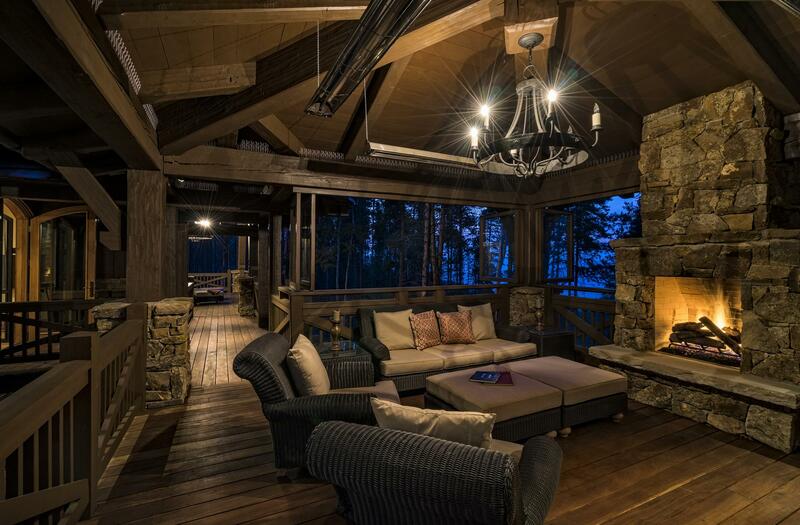 The back porch, distinctly designed to extend away from the main structure of the house, harnesses its wooded surroundings and bears a tree house-like quality. 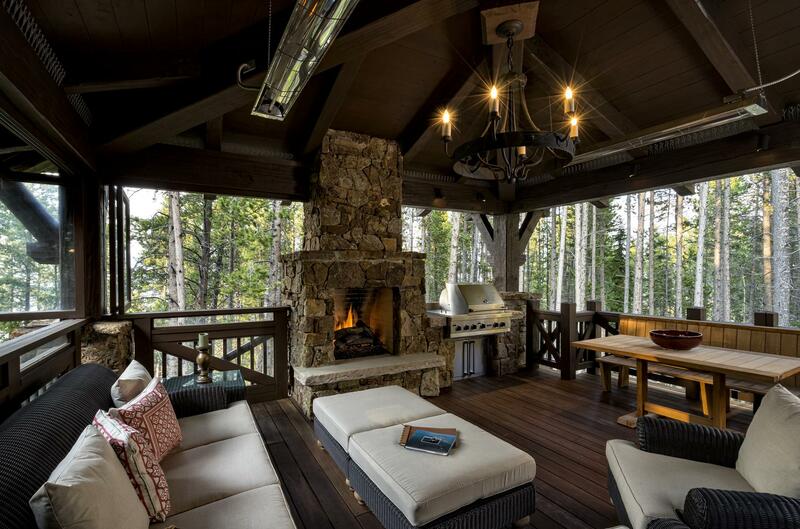 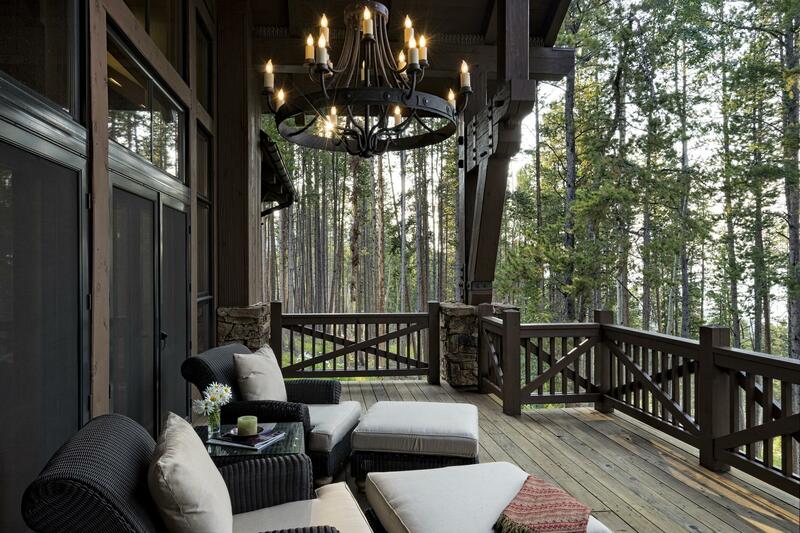 This perched-up, outdoor living space takes advantage of cross-valley views, as well as a fireplace, grill and dining area, perfect for summer nights in the Rocky Mountains.